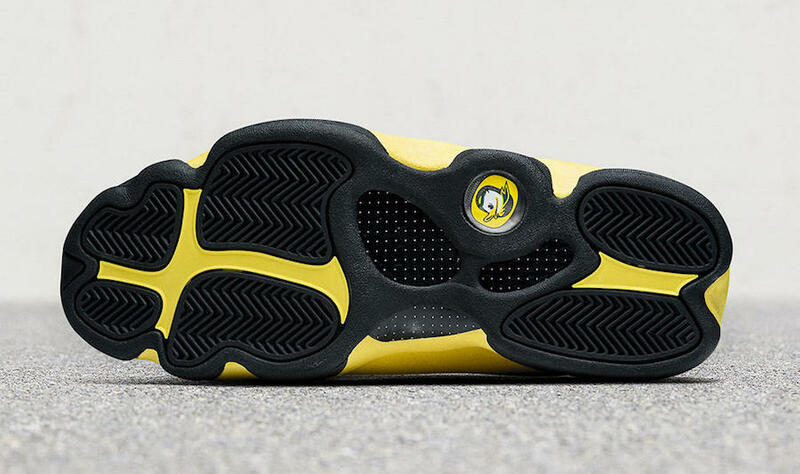 Air Jordan 13 PE Oregon "Track and Field"
Jordan Brand created a special Air Jordan 13 colorway featuring the colors of the Oregon Ducks, specifically for the Track and Field team. 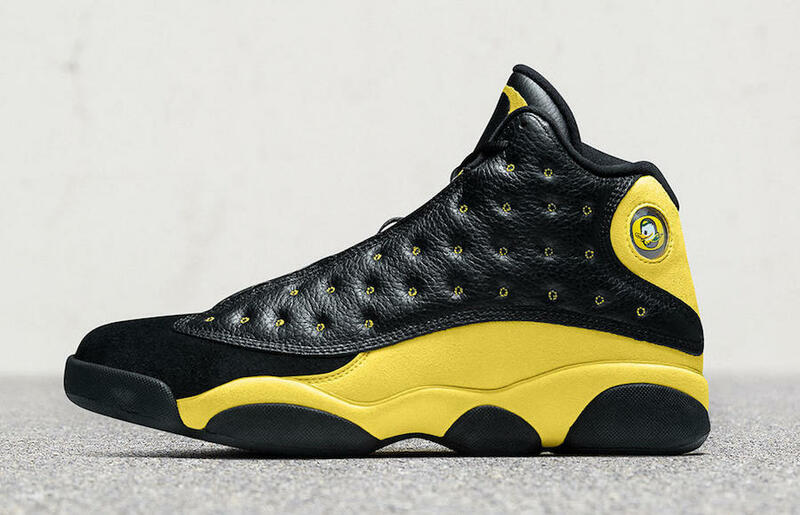 The Air Jordan 13 features a black and yellow color scheme, with oregon branding on the tongue. 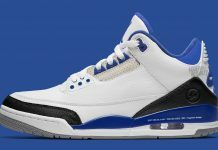 Leather and nubuck make up the rest of the shoe, with track and feild on the lower tongue tags. 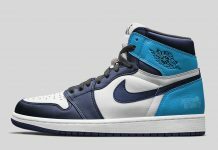 Earlier today, Nike release an official story behind this pair that you can read below. How do you design a shoe for the flashiest athletes in college sports? 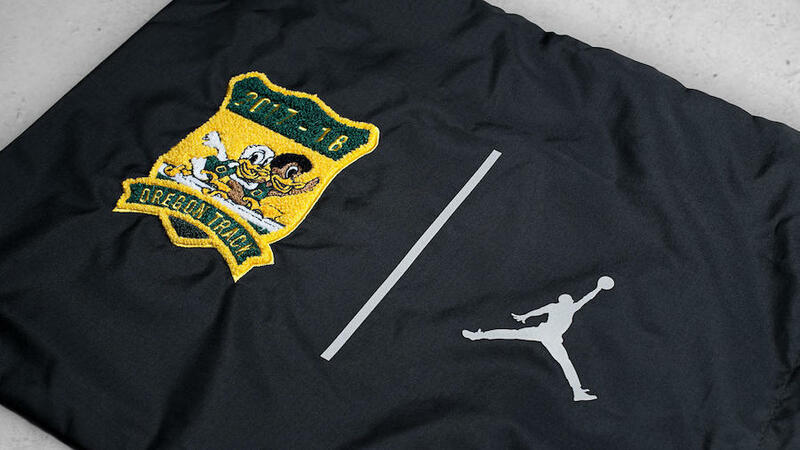 That question was the starting point for Dan Sunwoo and Tinker Hatfield’s latest University of Oregon F&F Jordan, created for the schools track & field program. 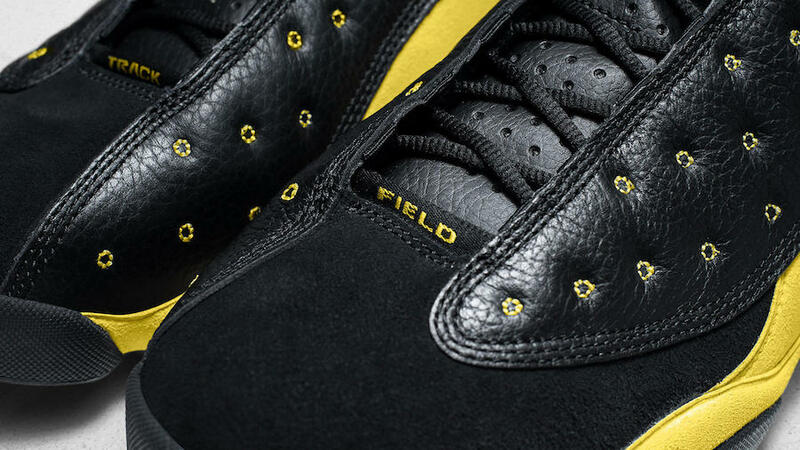 Hatfield, a former track athlete himself, wanted to convey some of the inherent swagger track & field stars carry, so Sunwoo chose to allow the university’s famous yellow to pop strongly off the shoe’s primarily black upper. 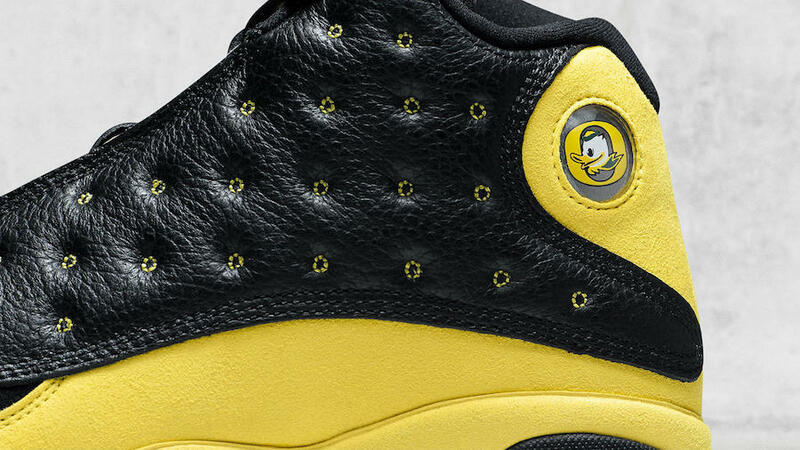 An added quirk, made possible through the blocking of the Jordan XIII, is that the yellow pop also ends up looking like a duck foot when the shoes hit heel to heel. 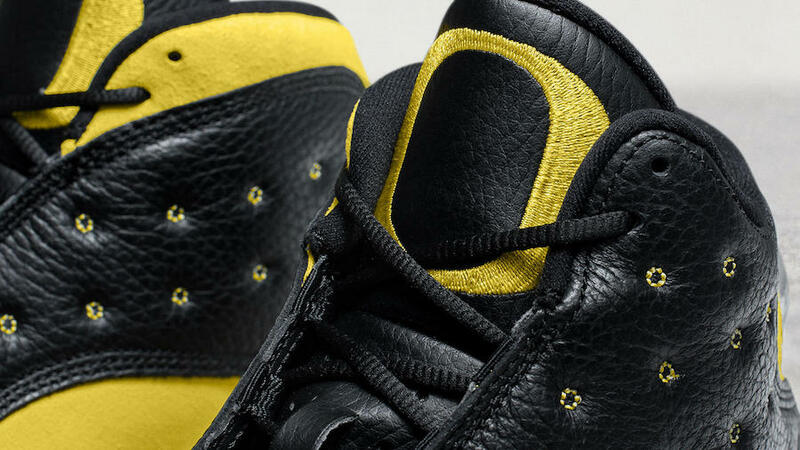 Bonus details include custom embroidery throughout and a replacement of the shoe’s traditional cat eye motif with the UofO logo. 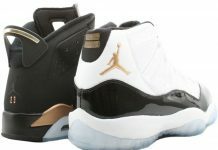 The shoe is limited to members of the University of Oregon track & field program and friends & family of Jordan Brand.